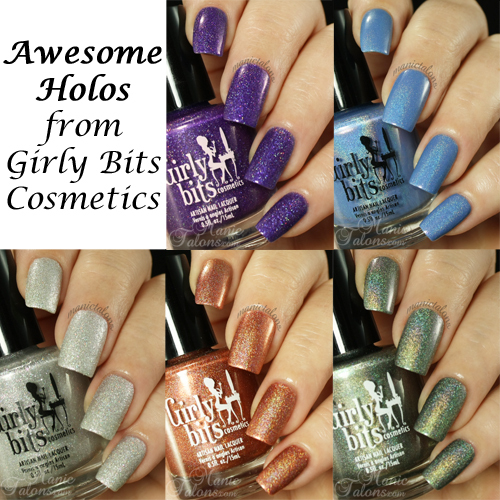 Manic Talons Nail Design: A Sample of Girly Bits Holos: Including 3 soon to be released shades! Bette Davis Eyes is stunning!! All so pretty, that purple is calling my name, but unfortunately I didn't buy it.